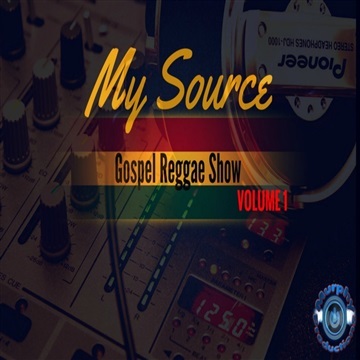 Many people read biographies of gospel Jamaican artists and expect to learn about a young man who has totally turned his life around from a life of crime, drugs and violence to one day being drawn to the Lord. Well in this case that’s not so. Stephen Murphy, born the son of a preacher, has always had a personal relationship with Christ and has always sought to bring young people to him. Stephen started his musical career by playing drums in church at the age of 5. Even though the life of a pastor’s son seem to be filled with glitz & glamor, there were many negative influences that surrounded him, but his faith in God and goal to bring people to Christ was what kept him from ever trotting the road of sin. Evolving from a everyday church drummer to a professional musician, he has played on stages with artist’s such as, J Moss, Papa San, Nigel Lewis, Troy Genius, DJ Nicholas, and Prodigal Son just to name a few. Having a reputable name in the Gospel Music industry as a drummer, Stephen still felt that his call was greater. That calling sparked his passion for music production. Beginning in his parents house at the age of 15, Stephen started Murphy Productions which has brought the opportunity of producing hit tracks with the likes of Ryan Mark, Emrand Henry, Troy Genius, Nigel Lewis, Pressure, St.Matthew, Kristine Alicia and many others. With a constantly increasing fan base, this young man is vigorously taking the name of Jesus Christ to the streets. With a melodious hook, and a thought provoking yet heartfelt message, he is on one mission and that is to spread the Gospel of Jesus.